“If I can make it there, I’ll make it anywhere!! !” As you may know, I’ve started a Single Girl Cookies Manhattan Edition! It’s an idea I’d been toying with for months and tried to start a few times but got derailed by life circumstances. I was able to finally make my first, official delivery a few weeks ago to the incredible folks at Turtle Bay Music School (where I teach private voice lessons) and have been to a few more places I’d like to tell you about! Much like the start of Single Girl, I was pretty excited to make my first Manhattan drop, even if nobody else knew about it 🙂 The Turtles (as they are called) are pretty used to me bringing in random goodies at any point in the year; mini pink cakes for Valentine’s Day, pumpkin cupcakes in the fall, even my very first vegan cookie! 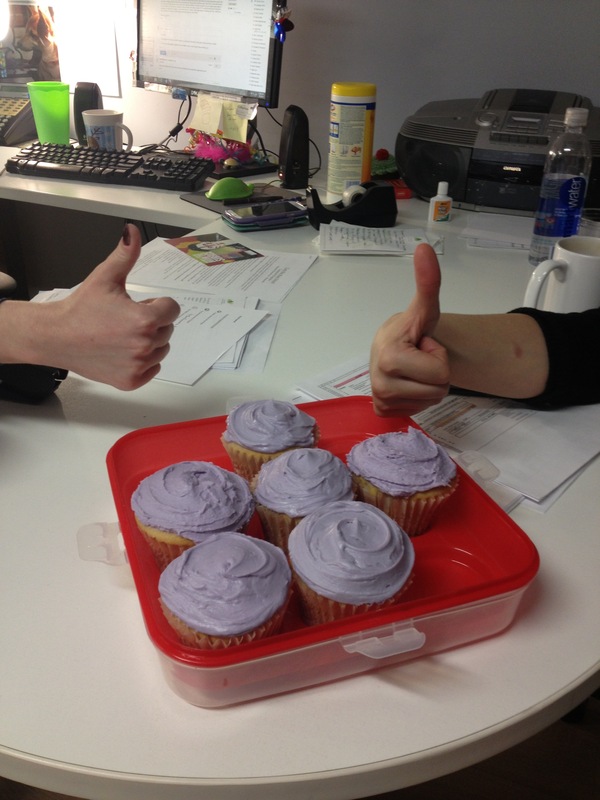 So when I came in with my vanilla lavender topped cupcakes, nobody thought anything of it. Perfect for a confectionary ambush. I came in the office and happened upon Julie, Executive Director, and Katie, Director of Community Development, having a meeting/chat. I said, “Hey guys! I’ve got some goodies for you! This is my first official Manhattan drop!” and they said, “Wait – what? We’re like, a Single Girl Cookies drop? ?” Yay! Just the reaction I had hoped for. You see, these kind, nurturing and caring folks (I will never stop dropping positive adjectives about this place or these people. Get used to it.) have seen the entire journey of Single Girl Cookies, and in a very real sense, the entire journey of the person I am today. Let me explain. One day in the summer of 2011, I was walking around the Turtle Bay area where I had spent almost every day for that last year. At that point in my NYC journey, I was walking dogs and most of the clients’ homes were along 2nd Avenue, from 87th to 42nd. The pay wasn’t great, I worked rain or shine (including those 115 degree days that summer saw) but my schedule had flexibility and I was getting a lot of exercise by walking up to 5 miles a day (and still going to the gym). And I love dogs sometimes more than some people I meet 🙂 This one day, I had a break in my schedule and was enjoying walking up and down the blocks I hadn’t seen before. I turned onto 52nd Street and saw TBMS’s green sign that to me, looked like a beacon of hope. After walking dogs for a year and seriously struggling, I wasn’t sure I could take much more. I walked into the an open and airy waiting room and asked the young man if they were perhaps hiring voice teachers that summer. He came back with a serene, soft spoken young woman who asked if I was looking only for the summer or interested for the fall as well, and did I have a resume? I lied and said I was running errands (I was too embarrassed to admit my sweaty mug was due to catering to dogs with allowances bigger than my monthly intake) and didn’t have one on me, but that I would email her one as soon as I got home. That was a Tuesday. By Friday I had an interview for that next Monday and was offered the job the next day to start in the fall. One week. In one week, my life had a completely new direction. Soon there after, I landed my church job as a soprano section leader for Christ Church in Manhasset, also to start in the fall. The fall of 2012 rolled in and swept the summer out – and my relationship went with it, leaving me to find a new apartment to accompany my new jobs. So when I say I had a completely new life, I wasn’t kidding! Through this entire process, Turtle Bay was a refuge for me, a place where I was known only as myself, and not as somebody’s girlfriend. I was judged on my merits, and the teacher and artist I was, and am. And every time I went there, I left feeling renewed and blanketed with good vibes. Those good vibes got me through some rough months following the break up as I settled into my new life. 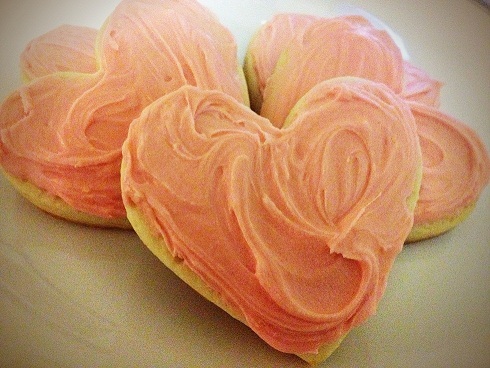 So, when I decided to start a Manhattan edition of Single Girl Cookies, they were an easy choice for where to start. The lovely folks at TBMS have tasted almost every baked good treat I’ve made over the last two years. If I wanted to experiment or create something, they were my inevitable guinea pigs – not that they minded 🙂 Instead of my signature Heitmann cookies, I brought them giant vanilla cupcakes to herald in this new start. When the day came for my to get my recommendation, I poked my head in Julie’s office and asked her. She paused and said, “Do you think we could have a few more days? We want to make sure it goes to the right place.” And that is probably the best compliment I could get. They know the scope of this project, and the importance to me so much that they want to be certain. 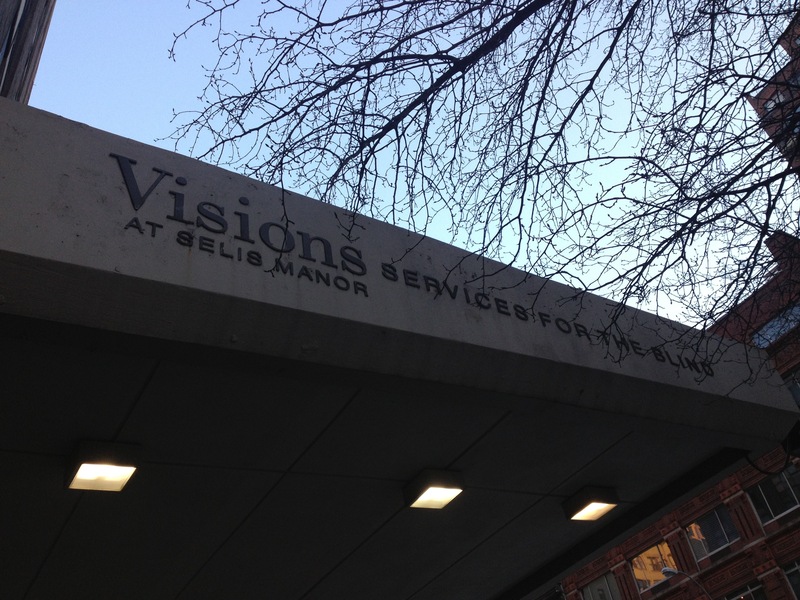 When they were, they sent me to Visions at Selis Manor, Services for the Blind and Visually Impaired on 23rd Street. Turtle Bay partners with a few places to aid in community growth and outreach, and Visions is one of them. I’ve kinda chosen Tuesdays to be my Manhattan day, so one Tuesday last month, I made the trip down to 23rd Street. The sidewalk outside was very busy with lots of people coming and going, being helped in and out of the building, in and out of service buses, there seemed to be people everywhere. There were people milling about in the entrance way as well. I made my way down to the office to look for Ann Deshazo, Director of Visions, to drop off my cookies. As I waited, I couldn’t help but notice that the bustle didn’t stop at the sidewalk, or on the hallways. Ann came in, looking slightly confused as to why I’d be looking for her, but I mentioned that in addition to what the cookie thing is, I teach at TBMS. She seemed to “get it”, and I was on my way. When I came back to get my plate, it was the same story. Busy, bustle, slight chaos. I asked for Ann again for my plate and the recommendation. A gentleman helped me by finding my plate and thought that was all I had come for. Now, this is where I start to feel bad when I revisit places. Many people and business are busy and I hate being in the way, or a bother. But, it is part of the process (yes, I know, one that I created) and everyone so far has humored me in recommending another place! Ann said I should next visit SAGE, an LGBT senior center, and told me that they do a lot of great work and are very deserving. I’ll tell you more about that in my next post, and I’ll tell you she was right. Back at school, I was chatting with Julie and Katie again and mentioned that Visions sent me to SAGE, and how great they were there. Julie exclaimed, “Oh! We’re newly partnered with them too!” I said they’ll love working with them too. Then Julie asked me how the drop at Visions went, she’d been meaning to find out. I said, “You know, they were very nice, but I got the feeling that they were a really busy place and I kinda felt like I was in the way. I would never want to interrupt their operation or anything but I did feel a little awkward, like I was bothering them.” Julie then tells me that the day I came to drop off cookies, they had a fire in the building! What??? If I were Ann, I’d surely be feeling a little frantic too! Just another reinforcement to treat others with kindness and give people the benefit of the doubt. You never know if they’ve just had a fire in their workplace! the love I give, return to me.